Public and Statewide program for infants and toddlers with special needs ages birth to 3 years old. If you as a parent have concerns about your child’s development, you can call the NYC Department Of Health and Mental Hygiene, EIP at 311 to refer your child. 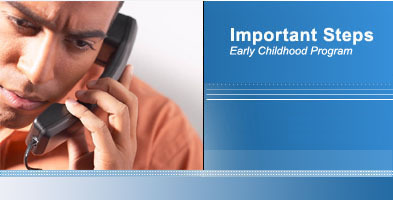 Important Steps is one of the approved by the Department Programs can help you to refer the child if you wish. Counseling and Play Therapy for Social-Emotional Issues, Behavior Problems, Poor Interaction Skills with Children of the Same Age.